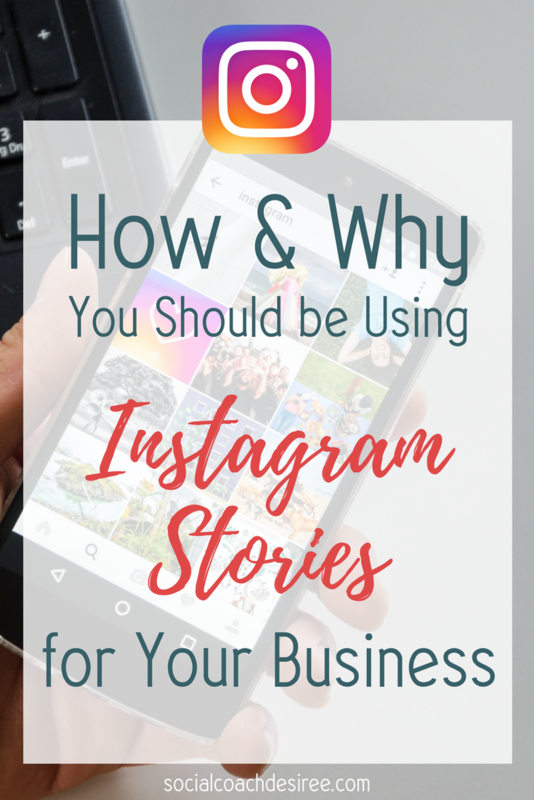 Are you using Instagram Stories for your business yet? You should be! Instagram Stories is nearly as popular as SnapChat with over 150 million active daily! Using Instagram Stories for business is now a key part of a great Instagram marketing strategy. Stories can help boost your engagement, give new ways to interact with your customers, and showcase your products in action. If you are seeing less engagement on your regular feed, don’t worry! That can naturally happen as Instagram’s algorithm shifts. Stories, by their very nature, get more traction. They are always in front of people, and because stories only last for 24 hours, they can drive viewers to take action more quickly. You may see less reach on your regular posts, but stories get more traction! 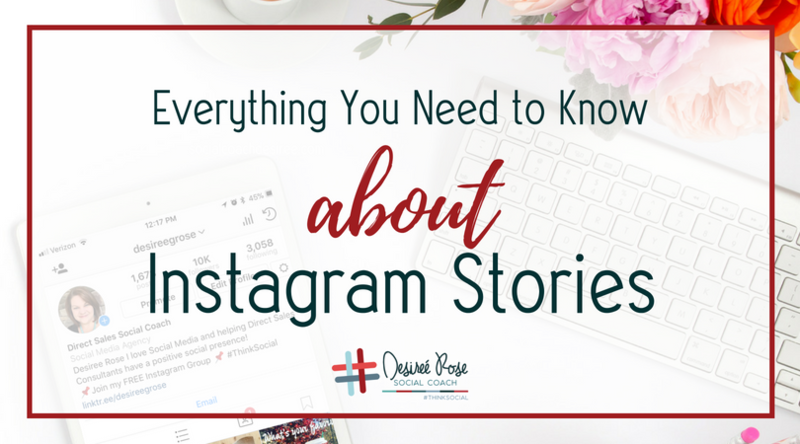 With Instagram Stories, you can share more real-time and authentic posts without sacrificing the aesthetic of your feed. Stories help you stay relatable and give you a way to stay in front of your followers without oversharing and getting annoying! Discovery – stories are added into popular hashtag stories, geolocation stories, AND across the top of the explore page! This means that your Instagram stories provide a whole new way for new followers to find you. Drive traffic straight to your website once you have 10,000 or more followers! Boost sales by highlighting products, sharing coupons and specials, etc. Stories can be an amazing tool to talk about your products or services and share ways to use them. Before you start using stories for your business, let’s chat strategy for a minute. Stories can be a powerful tool when used right. Before you get too crazy creating content for your stories, take moment to think about what results you want to achieve. Do you just want to be more approachable and relatable? These are all good reasons to use your stories, but make sure you have solid reasons in mind so that you can track your success and see if you need to change your approach at any time. 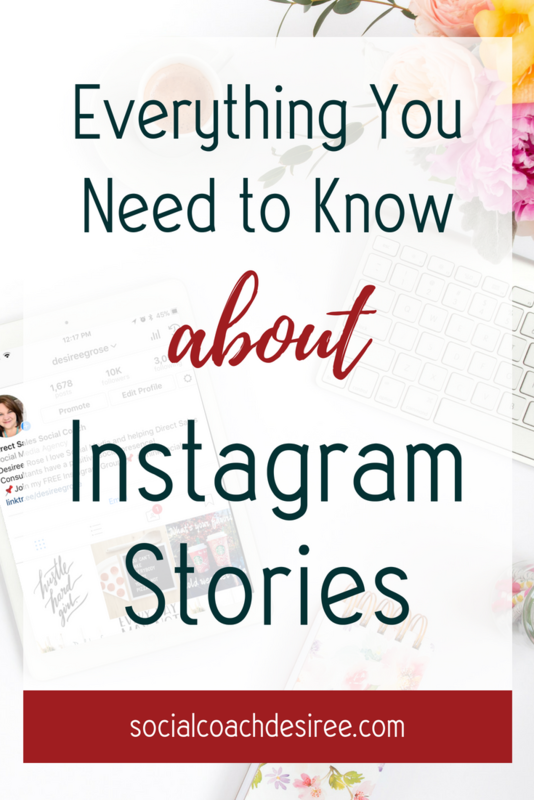 As you can see, there are endless ways to use Instagram Stories for your business! Ultimately, think of things you can share and showcase that don’t fit in your normal feed, whether it is a behind-the-scenes sneak peek into the inner workings of your business, or an educational showcase of a brand-new product. 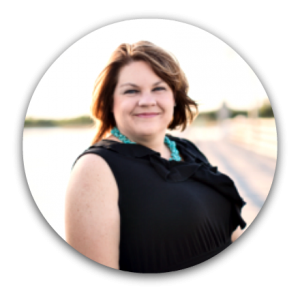 You want to use your stories as a way to connect with your followers. The best part is that you can post anything from a carefully planned strategic image of your new products, or just a quick look into what you are doing at the moment. If it doesn’t fit your theme or your grid, and the answer is yes…make a story! You can use text overlays right in the stories section to draw attention to a part of your image, or just to say what you’re feeling at the moment. Stickers are another fun way to catch the eye and get people reacting! Filters – because sometimes being silly and showing your crazy side can build connections with your audience! Just don’t ALWAYS hide behind an overlay when taking selfies. Highlights – highlights are an extremely important feature of stories. Stories are amazing for so many reasons, but one of their limitations is the fact that they disappear after just 24 hours. So, what if you create an AMAZING story and want to keep it around? You use highlights! What are highlights? Highlights are categories that you create to your profile and then save certain stories to so that they become a permanent part of your Instagram profile. Use highlights to really showcase your business with specific pillar content that you add to regularly. The highlights section provides a more permanent place for your most important stories. Since stories expire and disappear from the feed after 24 hours, the highlights section creates a home for your best stories to live forever! Make it easy for your followers to find the content they want to interact with by building highlights for all the things you want to draw their attention to. Highlights are permanent until you delete them, and they are located front and center on your Instagram profile. They are important because they give you the ability to curate and showcase the content you want to keep in front of your audience. To create highlights – click on the arrow next to stories highlight and select “new.” Choose a title and select a cover image (pro tip: create your own in Canva!). It’s as simple as that! Want a “hands-on” walk-through and how to video of Instagram Stories and Highlights? We have a live training available in the #ThinkSocial Society, and you can have lifetime access to that training and dozens more just by joining the Society! We also have a FREE Training group dedicated to just Instagram located at #ThinkSocial Instagram Rockstars! Come join us!